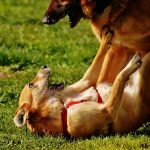 Before we delve into the different techniques and devices that can be used to control or stop dog barking problems, it is important that we first understand why dogs bark. Dogs use barking as their typical way of vocal communication and it serves a number of functions. Greeting Barking: dogs sometimes bark as a sign of saying “hello” and this is usually accompanied by a relaxed body language and tail wagging. Barking as a sign of territorial control: when dogs notice people, other dogs or animals encroaching on their territory, their response is usually excessive barking. Barking to seek attention: sometimes dogs do bark to seek attention or rewards like food or playtime. 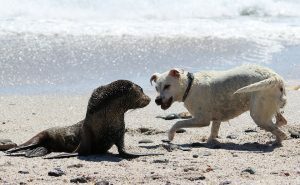 Socially influenced barking: a dog can bark in response to the barking of another dog. Barking because of alarm: Dogs do also bark when they respond to noises and sights. This is not limited to the defense of their territory. 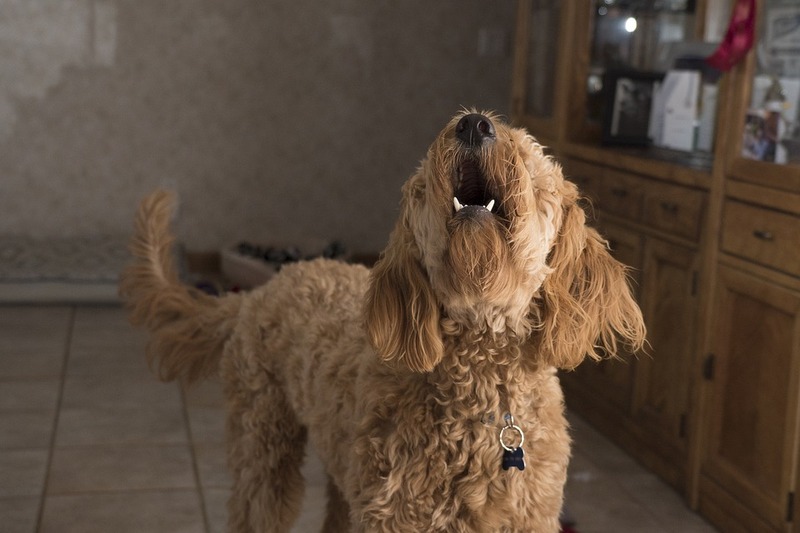 Barking as a sign of frustration: dogs could be involved in excessive barking while responding to frustrating situations and these could include being confined or being singled out from other dogs or persons. Compulsive barking: dogs could repetitively bark while at the same time making repetitive movements such as pacing. There is a high possibility that you are familiar with at least one of the dogs barking reasons described above and that you can also identify the motivation behind which your dog barks. …you are now in a good position to identify the tools and tricks that could be used to stop the barking. 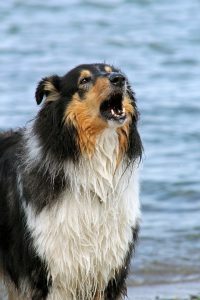 While employing the available techniques to control dog barking problems, one should not expect tremendous results overnight as the success takes time to be achieved. Ok, now let’s see how to control dog barking problems. Expecting a dog to never bark is like expecting a child to never talk. However, some could bark excessively and that becomes a problem. 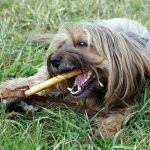 Once you’ve figured out the reason behind your dog’s barking, you can start to treat or stop its barking problems using any of the following techniques. Dogs don’t just bark. They do so because there is some kind of reward that they get out of it. You’ve to find out the motivation behind the barking of your dog and remove it. Deny your dog the opportunity to continue the barking behavior. For example, a dog might bark for such a simple reason as seeing passersby. In this case, if the dog barks at animals or persons passing by the living room window, the behavior could be managed by closing the curtains or removing the dog from the room. If the dog is barking at passersby from the yard, you’ll have to bring him into the house. However nonsensical this might sound, it is meant to let the dog bark on command and thus you are giving your dog the command to speak. You’ll let the dog bark for two or three times and then give it a tasty treat on his nose after which it will stop barking and sniff the treat. Praise the dog while giving him the treat. You’ll repeat this until it starts barking as soon as you tell it to “speak.” After the dog has learned to bark on command, you’ll have to teach it the “quiet” command. You’ll take it to a quiet environment, tell it to speak and when it starts barking tell it to keep “quiet” and give it a treat at its nose. You’ll praise him for staying quiet while giving him the treat. … the case of the intruder arriving at the door. Getting your dog used to a rigorous mental and physical exercise on a daily basis makes it tired. And as the saying goes, a tired dog is a good dog because it is less likely to bark as a result of boredom or frustration. …you’ll have to train your dog some kind of game like chasing the ball or playing with some interactive toys. A dog’s territorial or alarm barking is triggered by what the dog sees or hear that arouses their attention. 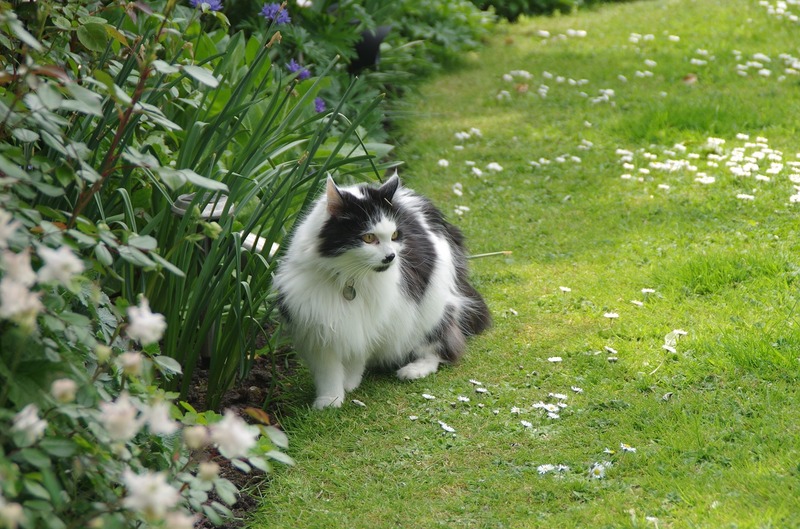 …the best way to stop the dog from barking at the living room window or from the fence is to manage the environment. You’ll have to block the potential triggers of your dog’s barking. Like for the case of the dog barking in the yard, you’ll implement privacy fencing to prevent it from viewing the neighboring yards or street. For indoor cases, you’ll ensure the curtains are closed or you will use materials such as spray-on glass coating to make the windows opaque. Despite the many tools and tricks available to control dog barking problems, all of them can only be more effective if they are combined with training. In this case, you’ll train the dog to obey a number of commands. You can train the dog the “recall” command which calls it away from barking triggers such as doorbell ringing. Teaching your dog the “speak” command helps it not to bark at other times and this works when paired with other commands. 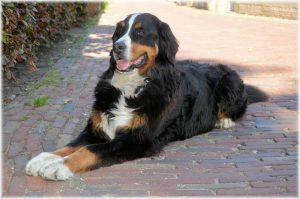 The “quiet” command as already explained helps your dog to calm down. Another important command is the “sit/stay” command can be used to keep your dog occupied in the event of a nearby barking trigger. The interesting tool that can help you is a dog training whistle to stop dog barking. It is used by professional trainers. To get your dog used to whatever is making it to bark, you’ll begin with the stimulus at a distance. The stimulus should be far enough such that the dog doesn’t bark after seeing it. Give the dog lots of treats while moving the stimulus closer. In the event that the stimulus move out of sight, stop giving your dog the treats. The important thing here is the lesson that you want your dog to learn which is: the appearance of stimulus leads to good things in form of treats. This process should be repeated several times as it might take days or weeks before your dog learns to pay attention to the treats without barking. Sometimes you’ll have to ignore your dog when it is barking up to the point that it will stop. This calls for not giving the dog your attention when it is barking as your attention only makes him noisy. You’ll avoid talking to him, touching him, or even looking at him until he gets quiet whereby you’ll reward him with a treat. For this method to be successful, you’ll have no option but to wait up to the point that it gets the dog to stop barking. A good example is when the dog barks during the time it is confined. You’ll turn your back and ignore him until it stops barking then you’ll turn around, praise him and give him a treat. 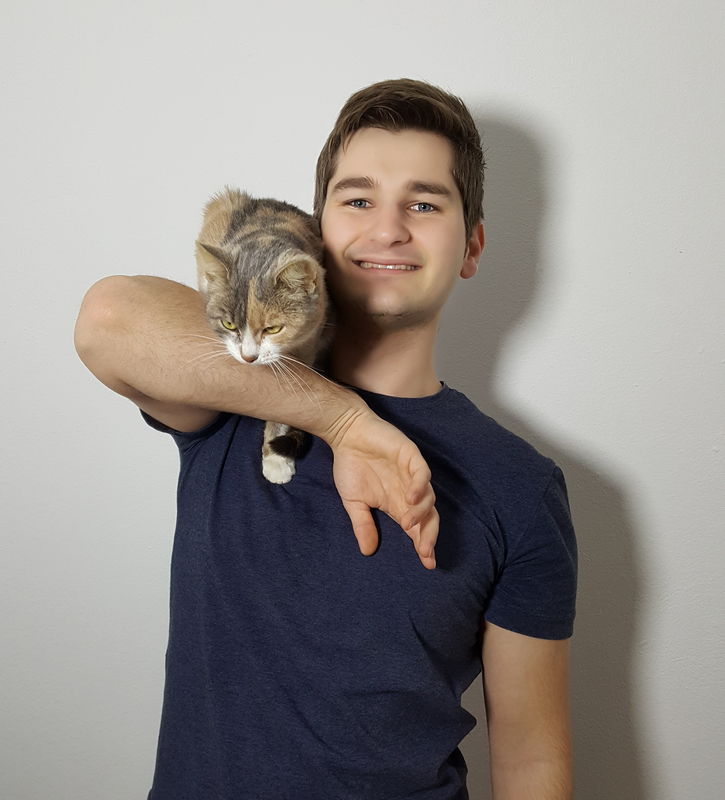 …it is a sign that your pet wants attention. If you provide them the attention, the situation will become only worse. The best thing you can do is to come and give your dog quit command and then go inside your house and ignore the barking until your pet stops. Provide them attention and reward only when they are completely calm and quite. Your dog could bark after you’ve left the house and this could be a sign of separation anxiety. The solution to this will be to set up a safe and quiet zone which is located a distance away from the front door. Such locations could include spare space, back bedroom or laundry room. What if my dogs barking loud and I am living in a small room? If you are living in a smaller room and you don’t have enough space for isolating your dog, consider using a crate cover that has plenty of airflows while limiting sightlines. With advances in technology and a wider understanding of barking behavior, several devices that could effectively control dog barking in a gentle and human way have been made available in the market. So there are anti-barking solutions. For example, Ultrasonic anti-bark birdhouse work by the emitting ultrasonic sound which the dog finds to be unpleasant and as a result startles out of barking. Another device, the Citronella spray collar uses citronella spray which eliminates or reduces excessive barking. Barking is a natural way through which dogs communicate but sometimes it can be excessive. Wondering on how to stop dog barking? Don’t worry as below we offer you the tips on how to stop dog barking. Challenge your dog physically and mentally: Excessive dog barking could be as a result of unused energy. In this case, the solution will be to release that energy through physical and mental activities such as taking the dog for a walk with a bicycle, herding with the dog, or taking it through agility training. Be calm when trying to stop dog barking: When a dog barks excessively, it becomes irritating but you will not be able to correct such kind of behavior when you are frustrated. When you are frustrated, your dog will become frustrated too and it will use barking to release the energy coming from its frustration. You have to curb your internal energy first before trying to stop your dog from barking. Seek professional assistance to stop dog barking: choosing to bring in a dog at your home means that you chose to care for it. You can stop dog barking and other behavioral problems by requesting the assistance of a canine professional to help him cope with these behavioral issues. When a dog barks excessively it becomes a problem at your home. Problems have their solutions and below are tips on how to solve dog barking problems. Call your veterinarian to offer professional help in the event that your dog is barking out of fear. Ask visitors to ignore your dog when they enter the house and throw small treats way from the dog as a distraction. Another helpful solution on how to solve dog barking problems is to distract him with toys or games in the event that his barking is a result of reacting to an event such as a T.V program. Keep your dog at the back of your car in a secured crate when traveling with him so that it doesn’t bark to passersby as a result of fear or frustration. Dealing with dog barking problems can be challenging for those who don’t know how to go about it. Still wondering on how to deal with dog barking problems? Consider some of the actions provided below. Taking good care of the dog is the most obvious solution on how to deal with dog barking problems. If the barking dog belongs to your neighbor, consider talking to the neighbor and advise him on the appropriate measures he can take to deal with the dog barking problems. If the problem persists, you’ll have to contact the appropriate legal authorities. 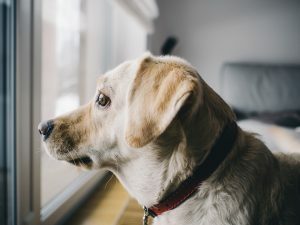 For the noisy dog of the neighbor, one could also seek a prevention notice that could direct the owner to regularly serve the dog with food and water, give it sufficient space and freedom and offer it adequate shelter. You might also want to cure the barking habits of your dog by taking him to a vet or an animal trainer to discourage bad habits. Excessive barking solutions or anti-barking devices come in different types. Due to the dramatic development of anti-bark technology in recent years, a wide selection of anti-bark devices are available in the market. The three main types of anti-bark devices are as described below. 1. Sound Emitters: these come in form of remote devices or collars and they work to discourage barking by using the power of sound. These are ultrasonic dog barking devices. After detecting that the dog is starting to bark, the sensors in these sound emitters transmit ultrasonic sound that is very high-pitched and is only audible to dogs. This sound is very unpleasant to the dog and stops them from barking. When the dog continues to bark, the ultrasonic sound will continue to increase up to a determined point within safe limits that make him stop barking. 2. Anti-Bark Collars: dog barking collar is another cool device that can be used to stop dogs from barking. 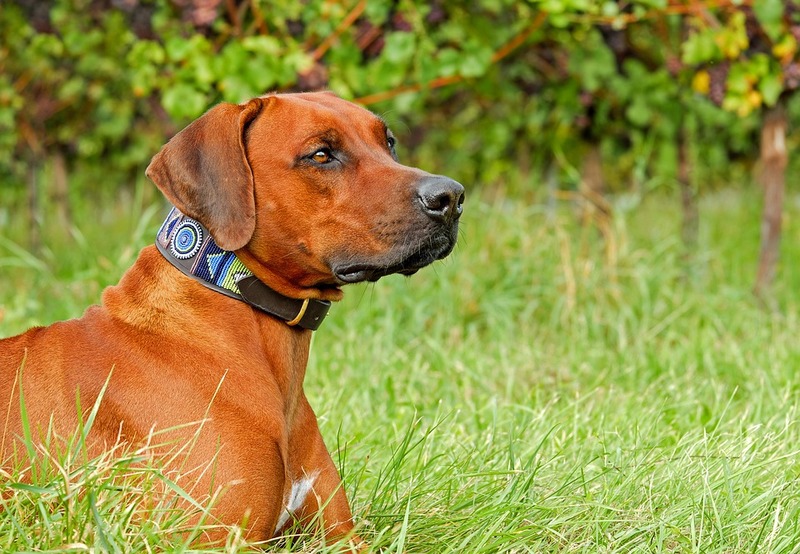 Anti-bark collars work very similar to sound emitters only that a small jolt of electric shock through the collar replaces the high-pitched sound in emitters. The electric shock surprises the dog and drives him to end the dog barking sounds. Modern shock collars are more humane than those that were used in the past as the shock has been restricted to safe levels. However, much care must be considered because the misuse of anti-bark collars could drive dogs to become more aggressive and fearful. So you might want to use other more pleasant solutions. 3. Sprays: the powerful odor from dog sprays such as citronella shocks them to the point they stop barking. There are also water spraying collars that are slightly less unpleasant to your dog but are still effective in making them stop barking. Most spraying collars often do work but some dogs learn to run them out of spray and then bark at will. After a careful analysis of the three main types of devices for controlling dog barking problems, it is important to look at the examples of the different anti-barking devices available in the market today. remote device to stop dogs from barking. stop neighbors dogs from barking. While working with the device, you’ll have to set the digital timer which will turn the unit on and off at specific times to help the dogs from becoming desensitized from the ultrasonic sound. Other features of this product include being suitable for dogs of any size, for outdoor use only, weatherproof, has a microphone for detecting barking and preventing false corrections, range up to 50 feet, uses the 19-volt alkaline battery, and has a low battery indicator among other features. 2. Citronella Spray Collar: this is a good alternative to shock collars and it uses a burst of citronella spray to stop or reduce excessive dog barking. Dogs don’t like how citronella tastes and as a result, it startles them out of barking. 3. Dog Silencer Max: this works in a similar way as Elite Outdoor Bark control. It listens for the barking from a dog and emits a high-pitched ultrasonic wave. The device is either plugged in or battery operated and there is no babysitting needed as it is fully automated. You can use its sensitivity control and a remote to trigger it manually. The dog Silencer Max can be purchased at a price of $129. 4. Serenity Ultrasonic Bark Control Device – Anti-Barking Training: some of the features of this product include a durable and weatherproof technology which act as a design tool for reducing excessive, loud, and disruptive dog barking. The device is 100% safe and harmless as the emitted ultrasonic-sound is inaudible to humans and the product is an effective and safe training tool for dogs. The device has a highly functioning anti-barking deterrent tool as the sensitive microphone identifies and picks up dog barking sounds up to 50 feet away. The device has a new cute design and can be easily installed. It can be simply hanged on a tree, wall, or fence post. The quality of the device is also guaranteed. With Red Sea Solutions being the only authorized sellers of the product, they promise quality as they guarantee to resolve any issue until the customer is satisfied. 5. Dog Dazer II: this is a hand-held dog deterrent device. It uses the latest ultrasonic technology and is harmless to pets. It works up to 20 feet and has a low battery indicator and belt clip. strong>6. Dogtek Ultrasonic Dog Bark Controller: is an example of the outdoor ultrasonic device that could be hanged outdoors or near your doghouse. They have distinct levels of sensitivity and they can detect barking from just your dog or even the neighbor’s dog. How to control dog barking problems? So as you could see, individuals should not be stranded at finding out what to do to stop their dogs from excessive barking. This is because there are a lot of techniques and tools that effectively act as excessive dog barking solutions. For example, devices that could be used for outdoor dog bark control include Dogtek Ultrasonic Dog Bark Controller and Serenity Ultrasonic Bark Control Device – Anti-Barking Training. Other devices such as Citronella Spray Collar produce sprays with odors that are unpleasant to the dogs hence reducing or stopping their excessive barking. Finally, it is important to note that anti-barking devices fall into three types and they include sound emitters, anti-bark collars, and sprays.